This dazzling kit contains everything you need to create your own fantastic foil art. With the multi-use foil art tool and 30 sparkling sheets in a range of colours you can bring these intricately illustrated pages to life. 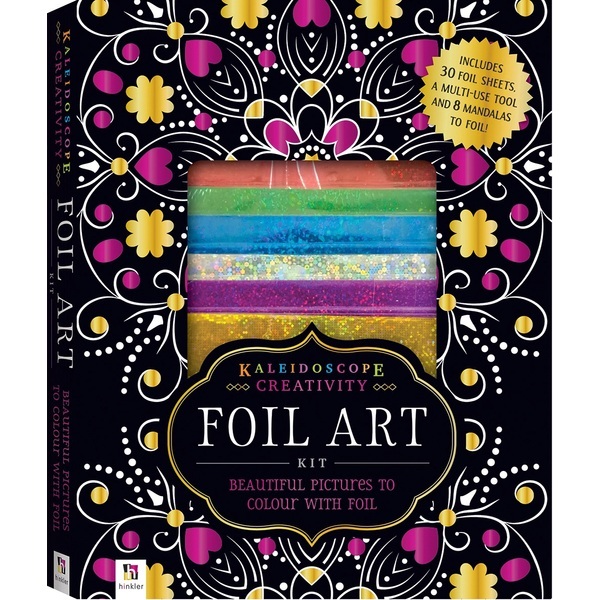 Add some sparkle to your day with the kaleidoscope Creativity Foil-Art Kit.